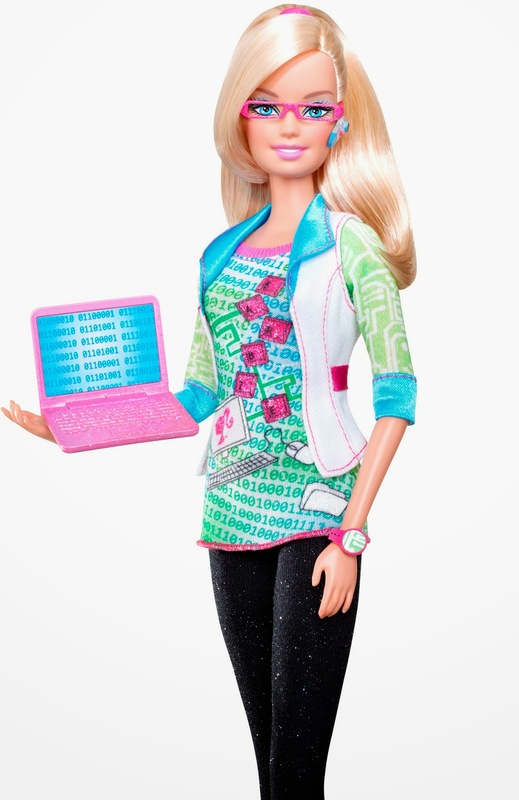 Inspired by the Spring 2014 Barbie collection by Moschino, I'm so excited to explore a variety of shades, especially while channeling a little of the Computer Engineer barbie I still have in the box (hey, she's a collectors item)! Barbie knows her accessories. 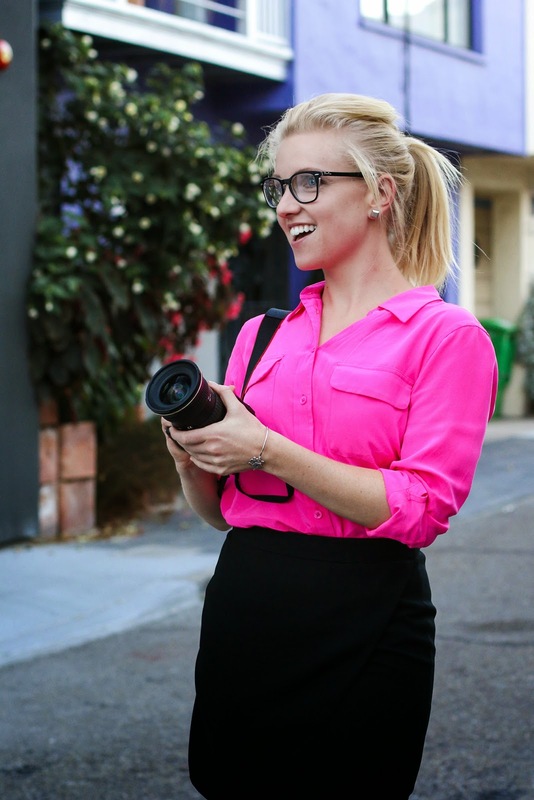 Cute frames, laptop, (is that binary code you're working on Barbie?) smart-watch, bluetooth headset, and a professional blazer complete the look. 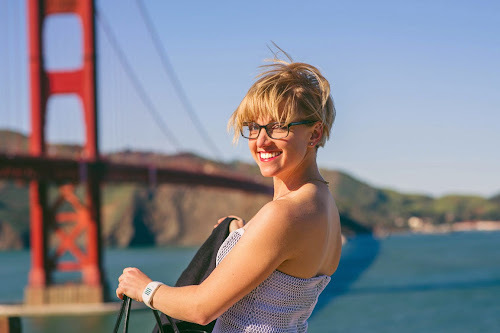 Here are some shots from Ryan, who left me with a few tips on "how to pose" as a blogger that I can't wait to share with you! Art Director and photographer extraordinaire. More tips to come later! 5. Pouty lips and a condescending frown are so out of fashion. Always wear a smile instead. 6. No matter how much fun a photo-shoot is, it's always important to be on time for an appointment! Hurry Ryan, it's a hair past a freckle and we have to go meet with Chris! Another big thanks to Ryan Chua, whom I would highly recommend for any and all of your photography needs. Next we'll take you inside Betabrand for an exclusive interview with Chris Lindland: CEO, entrepreneur, and...comedian. such an adorable look! love the pink shirt..great heels! Oh girl, you fancy! Love all the little posing tips!